There's a new studio under the 2K Games label. Parent company Take-Two has announced a brand new development house in California's Silicon Valley with Michael Condrey at the helm. If that name sounds familiar, it's because he was one of the co-founders at Call of Duty studio Sledgehammer Games and before that held the role of COO and director at Dead Space maker Visceral. 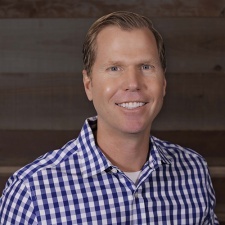 In February 2018, Condrey and his fellow Sledgehammer co-founder Glen Schofield moved from the COD maker to take up senior exec roles at Activision. Schofield departed the company in December of last year ahead of Condrey's own move. “At 2K, we offer our collective audience a variety of engaging and captivating entertainment experiences. We continually seek opportunities to empower and invest in the right people and ideas,” 2K David Ismailer said. Condrey added: “Great games come from the passion of a team driven by the pursuit of quality and the empowerment of an independent studio model. 2K’s studios have creative and technical autonomy, backed by a world-class infrastructure of support, and that offers the perfect recipe to build a new studio and craft experiences that will lead the next generation of gaming for fans everywhere. David and the dedicated people at 2K and Take-Two have an extensive history of rich and established brands, as well as a long tenure of executive leadership committed to supporting the ambitions of their independent studio teams." He continued: “Today’s announcement represents a rare and special opportunity for developers to help build and shape a new Silicon Valley studio from the ground up. I couldn’t be more excited, or thankful, to embark on this next step in my career."